I’m totes trying to be enthusiastic about Monday. The problem is, natch, that my weekend was so FUN, and now my back is hurting and I really think I might die, so it’s a little bit hard today. Is your Monday a little bit hard? 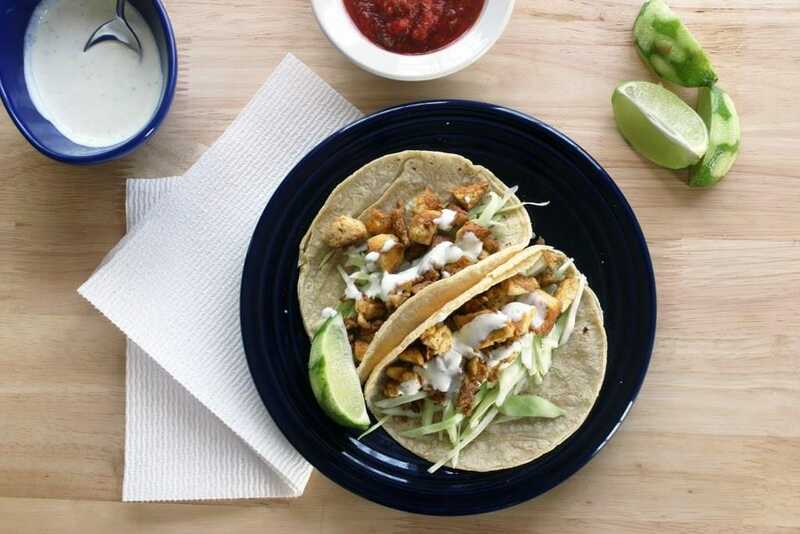 That’s ok. We’ll eat healthy tacos and make it all better, ok? 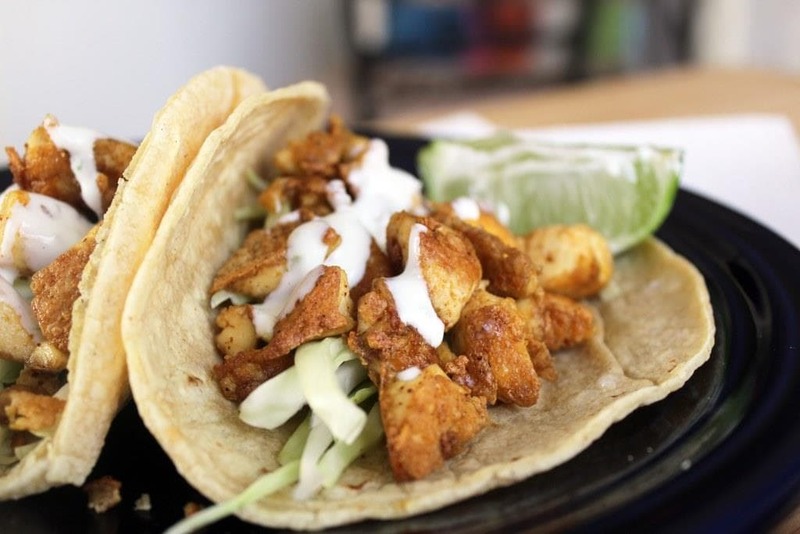 I made these tacos last week for lunch one day, and dayumm are they good. You’re going to be obsessed. I like the idea of more veg meals like this that are healthy but still feel filling and decadent, and tofu crisps so NICELY with taco seasonings. Obvs if you hate tofu, just put some meat in it’s place. Wimp. Try it, though. Tofu is delicious. Let’s taco. 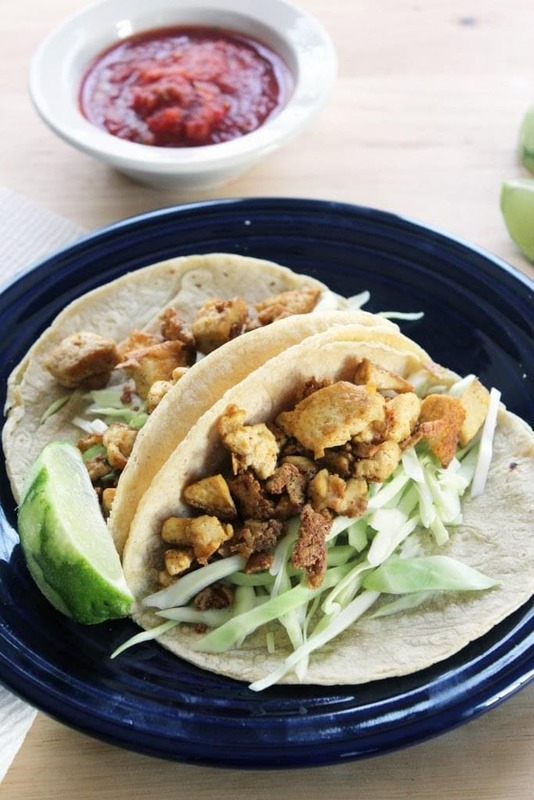 For these you need firm tofu, corn or flour tortillas, cayenne pepper, cumin, chili powder, and seasoned salt. 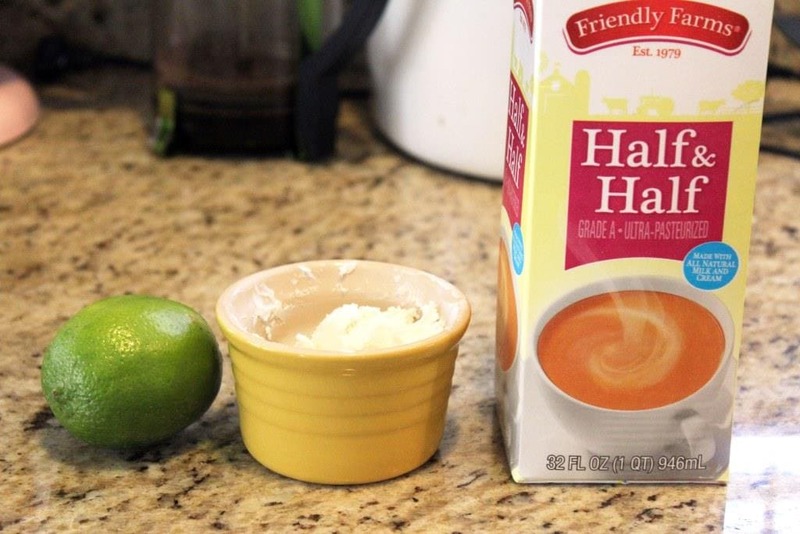 For the crema, lime, goat cheese, and half and half. Or milk! Or sour cream! Or whatever! We’re basically just trying to thin out the goat cheese a touch. Also, toppings. The whole point of tacos, really. I like veggies, but salsa, sour cream, cheese, anything you love on Mexican food should be included on these bad boys. Let’s make tofu. 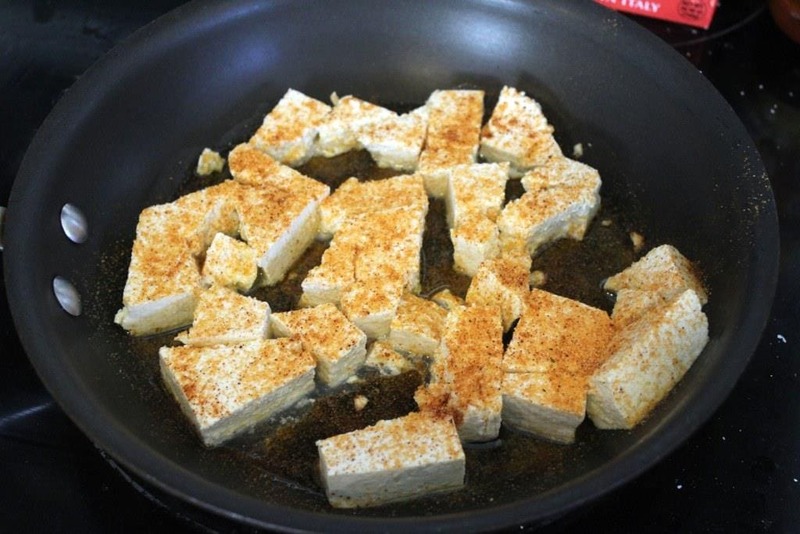 Add the tofu to a cold pan over medium heat with a drizzle of oil. Basically, we’re going to let the tofu heat slowly so that it dries out as it heats up. 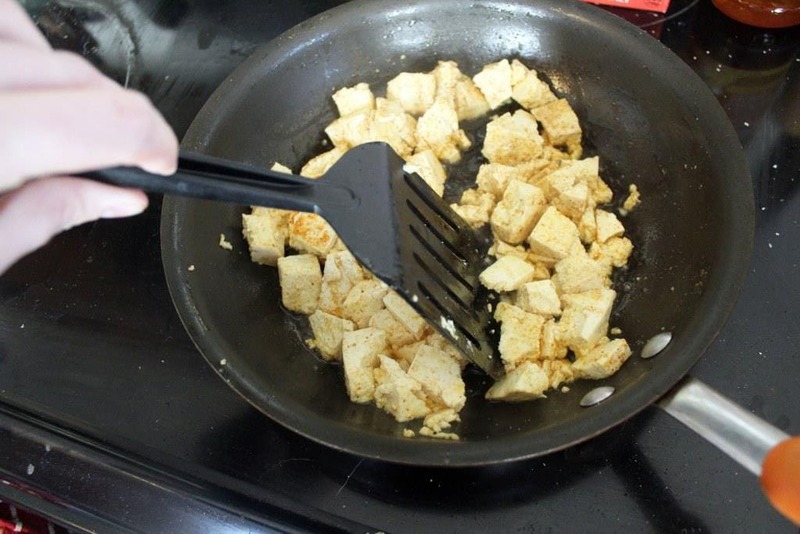 When the tofu starts to sizzle, start breaking it up with a spatula or spoon and sprinkle the seasonings over it. Now, we just let the tofu work like we would ground beef. Let it sizzle, breaking it up into little bits, stirring every 4 minutes or so. While the tofu is working, make the drizzle! Add the lime zest, goat cheese, and half and half to a small food processor or blender (you could also whisk this by hand) with a pinch of salt. Blend until totally smooth, and taste! Add more salt if you’d like. By now, the tofu should be nice and crispy on all sides. 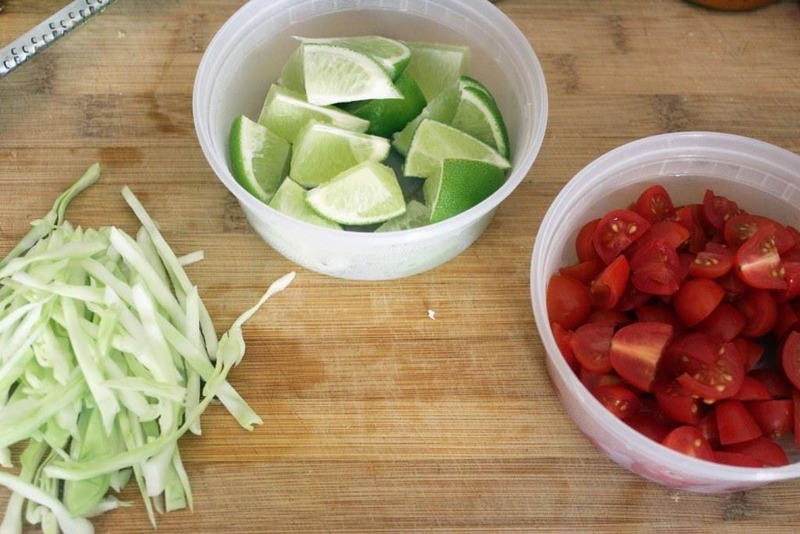 Time to assemble tacos! I love the crunch of cabbage topped with some of the tofu. And the drizzle! Behold the drizzle. The lime squeezed over top accentuates the flavor of the zest we used in the sauce, and YES. We’re in and out in c. 20 minutes with a great, healthy meal that can be customized based on what you have in your dang fridge. 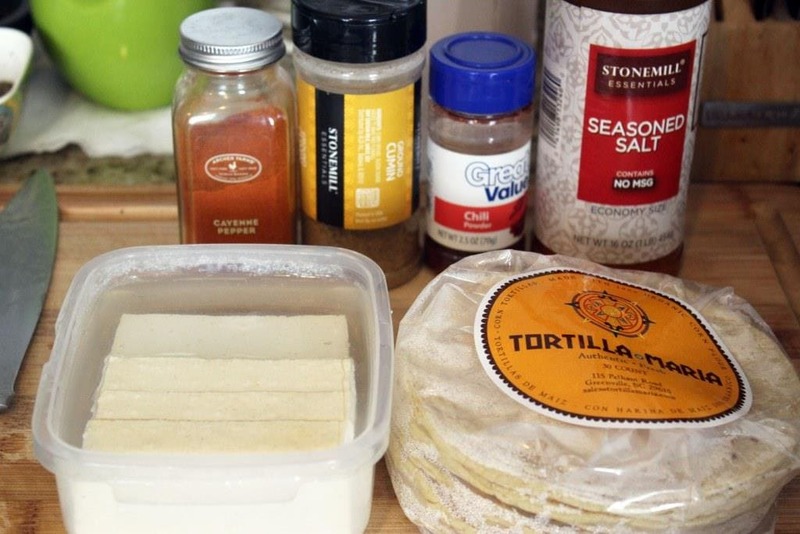 You could even use this tofu in burritos or as a salad topper! 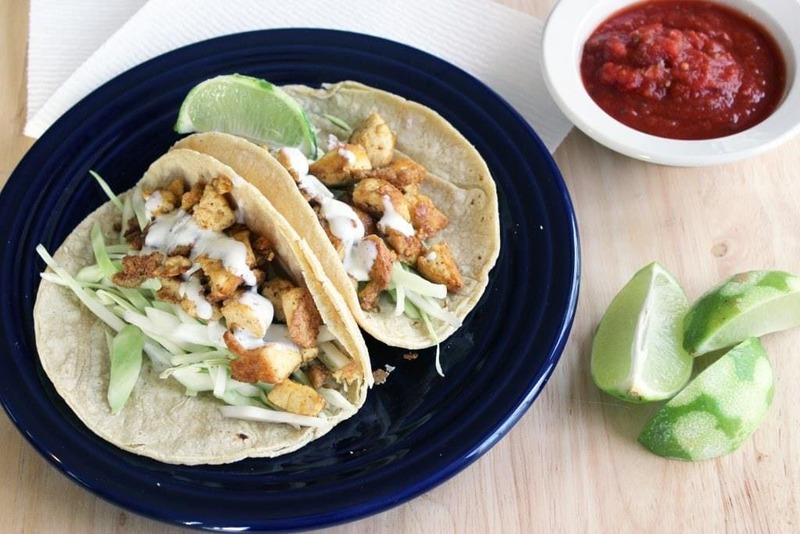 What I’m saying is, Monday is nicer when you can eat tacos that also won’t make you fat. 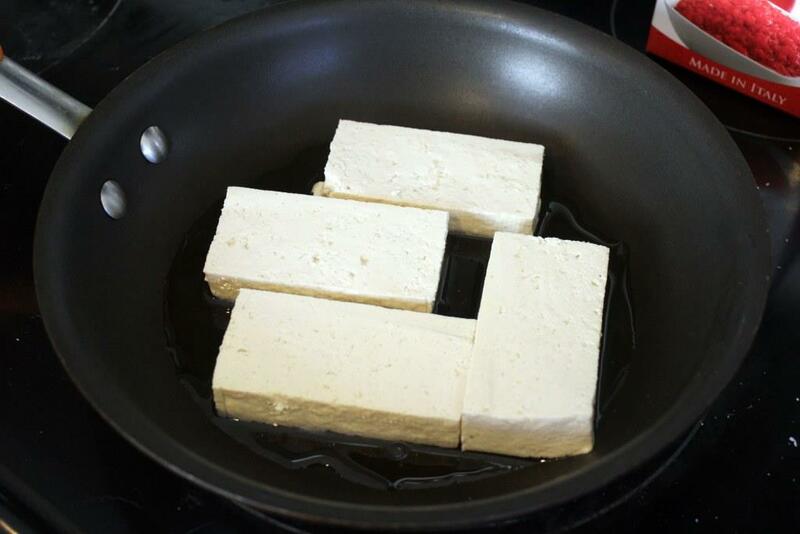 Add the tofu to a cold pan with a drizzle of olive oil. Turn the pan to medium heat, and break up the tofu a bit with a spatula. When the tofu starts to sizzle, sprinkle the cumin, chili powder, seasoned salt, and cayenne pepper over the tofu. 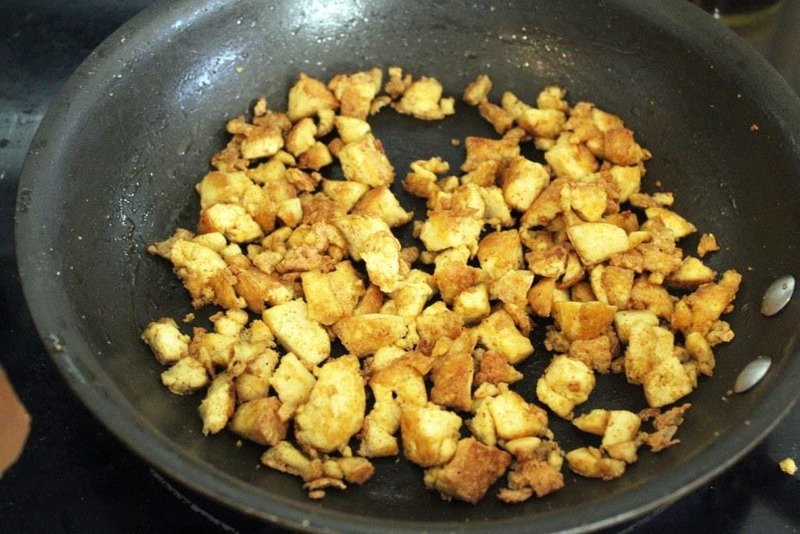 Continue to break into little bits, stirring every few minutes, until the tofu is browned and crispy. 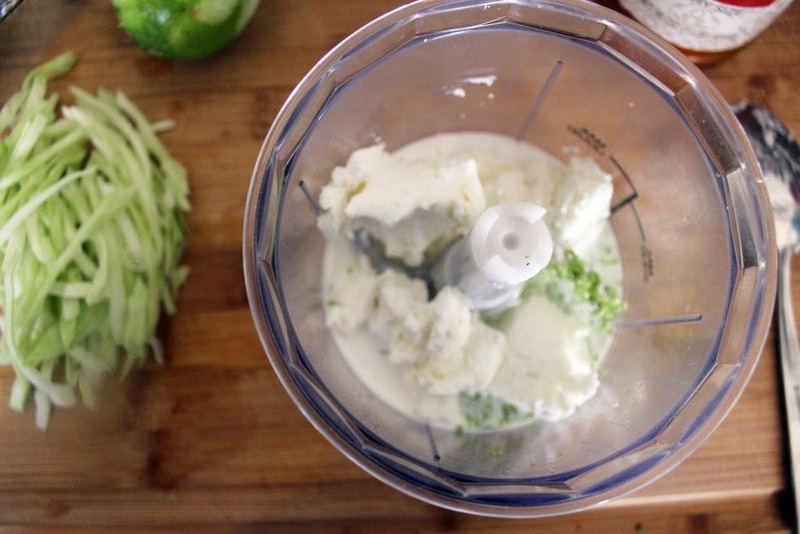 Meanwhile, combine the lime zest, goat cheese, half and half, and salt in a small food processor or blender. Pulse to combine, adding a splash more of the half and half if needed to form a smooth sauce. 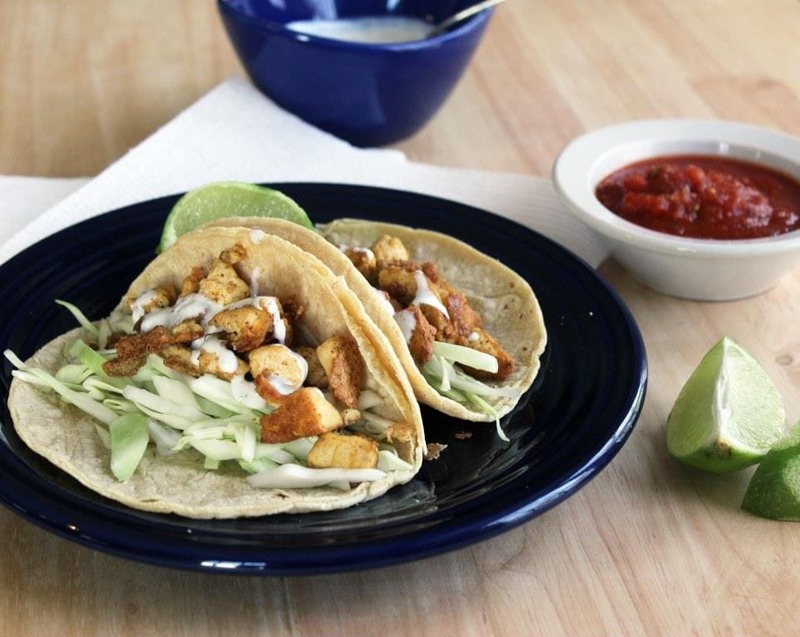 Assemble the tofu and any desired toppings in taco shells, then drizzle with the goat cheese cream. Eat! Looks amazing! I can’t wait to try it.